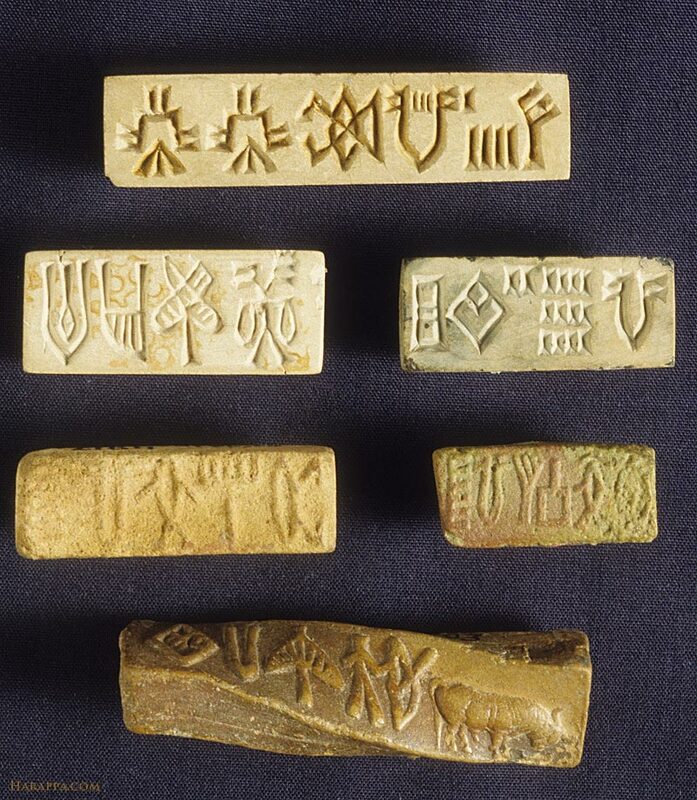 Long rectangular seals and a terra cotta sealing (bottom) with Indus script. The top seal has seven signs of Indus script. The back of this seal is convex and it is perforated from the side. The central sign may represent a house or temple and is a symbol that is often repeated on seals with horned deities seated in yogic position.